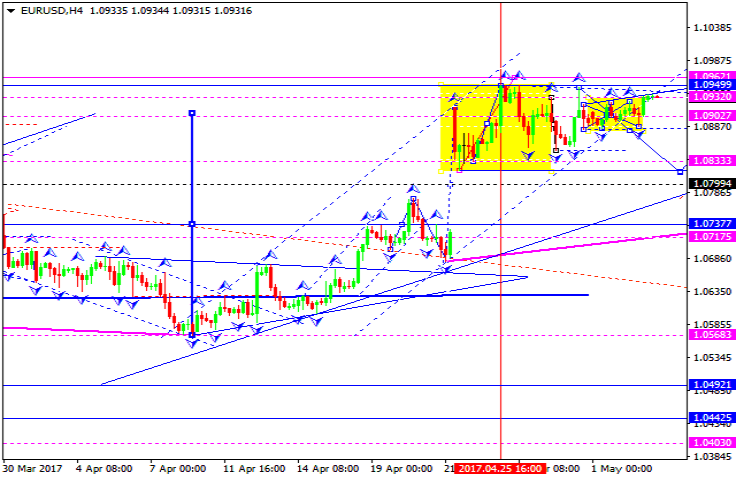 The EUR/USD pair has rebounded from 1.0888 and reached the upside border of the range again. Right now, the instrument is trading to rebound from 1.0933 to the downside. 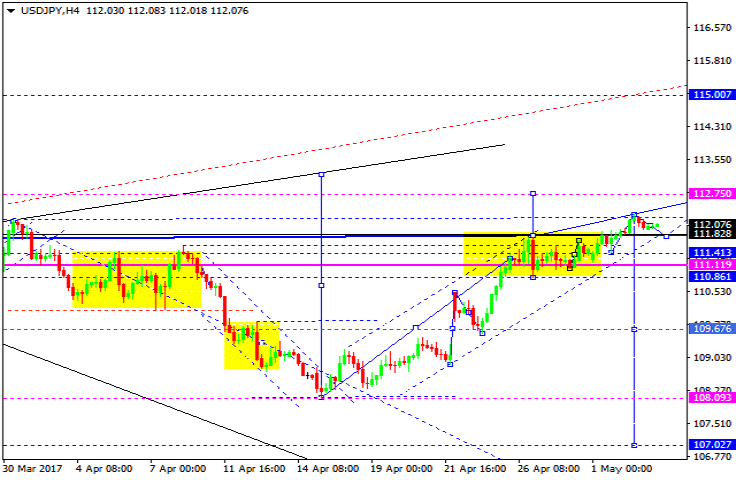 Possibly, the price may continue consolidating and fall towards 1.0888. The main scenario remains the same and implies that the market may break the downside border of the range and fall with the target at 1.0800. The GBP/USD pair is consolidating above 1.2900. If later the market breaks this range to the upside, the instrument may reach 1.3050; if to the downside – start another correction towards 1.2700. 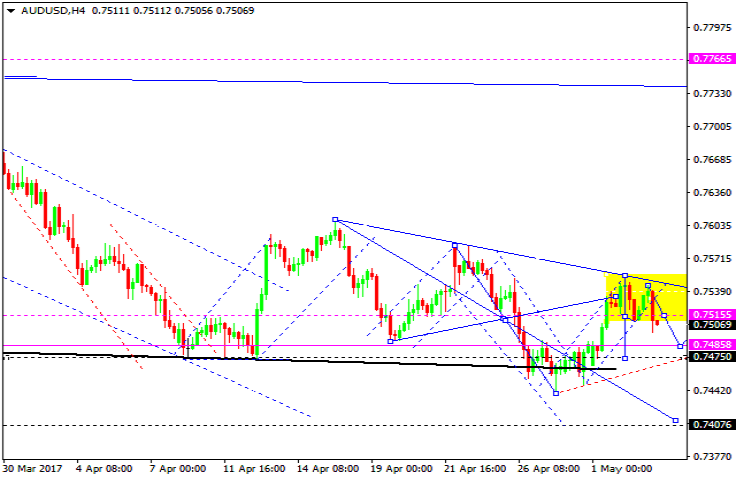 The USD/CHF pair has broken 0.9933 and formed a downside continuation pattern. 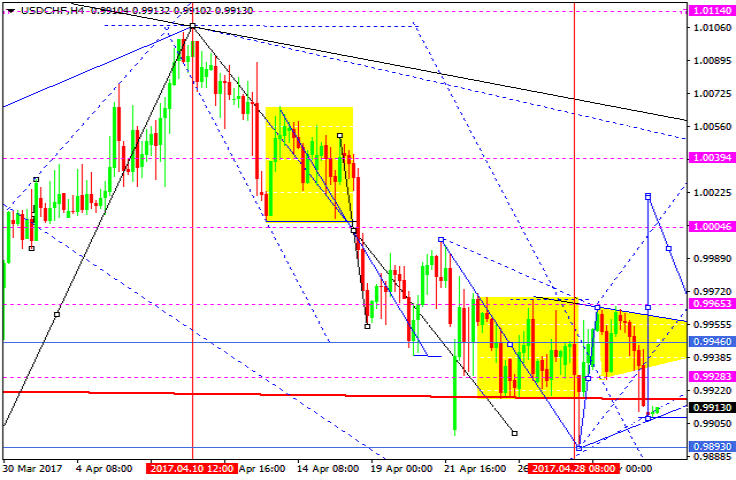 Possibly, the price may test 0.9933 from below and then fall towards 0.9902. Later, in our opinion, the market may grow to reach 0.9977, break it, and then continue moving upwards with the target at 1.0000. The USD/JPY pair has broken its consolidation range to the upside and may move according to an alternative scenario, which implies that the price form another ascending structure towards 112.75. However, this scenario may be interrupted at any moment by a quick decline inside the downtrend. The AUD/USD pair has completed the descending impulse and the correction. Right now, the market is trading to break the low of this impulse. 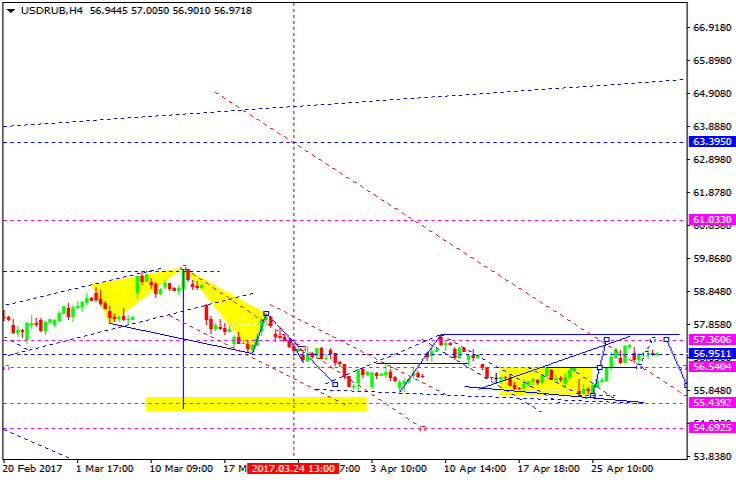 Possibly, the price may fall towards 0.7485 and then test 0.7515 from below. After that, the instrument may move downwards to reach 0.7475. In fact, the price is forming the wave with the main target at 0.7407. Following the oil prices decline, the USD/RUB pair is expected to continue growing towards 57.37. After that, the instrument may fall with the target at 56.54. 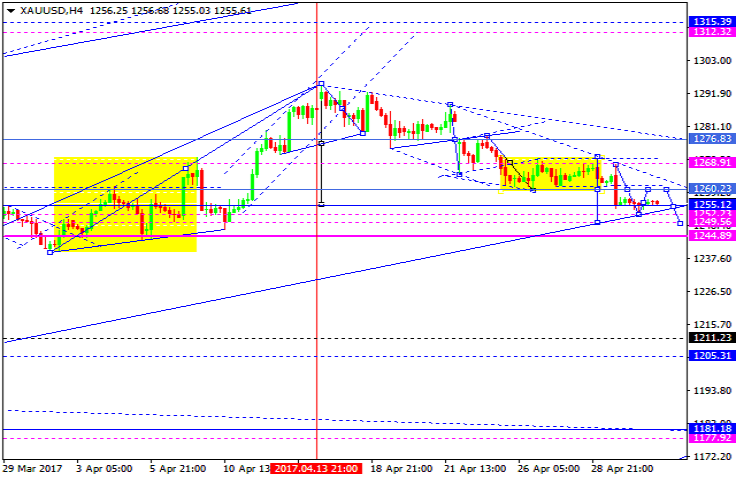 Gold has broken 1260.20 to the downside and reached its predicted target. Right now, the price is consolidating. So far, there are no ascending impulses. Possibly, the price may fall to reach 1249.52 and then form another consolidation range with a reversal pattern. Later, in our opinion, the market may reach 1276.80. Brent has broken 51.21 and formed a downside continuation pattern. 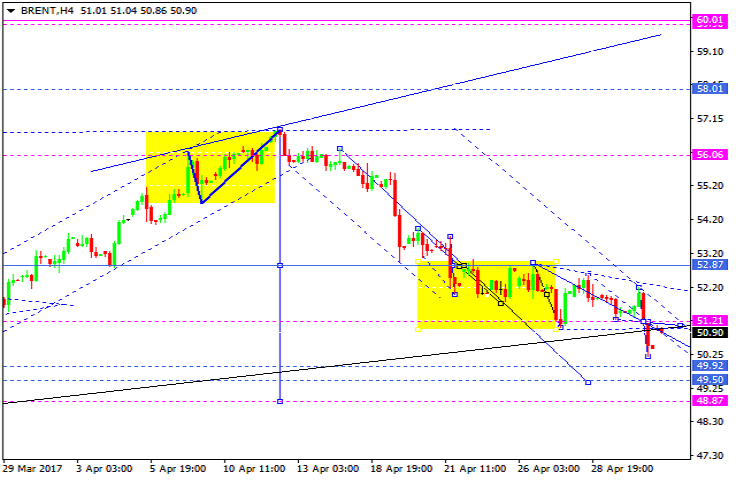 We think, today the price may reach 49.90 and then grow towards 51.00. 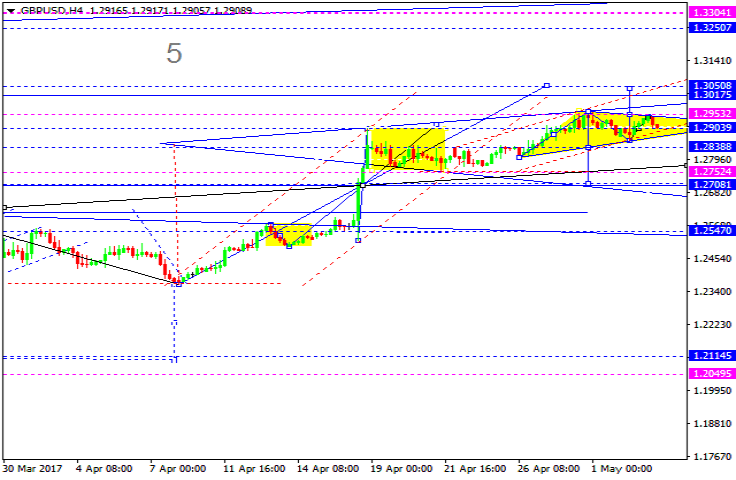 After that, the instrument may form another descending structure with the target at 49.50.